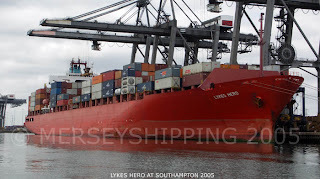 Container vessel MOL Comfort split in two at midships around 840 nautical miles off the coast of Mumbai on the 17/6/2013 The vessel was headding to Jeddah from Singapore. 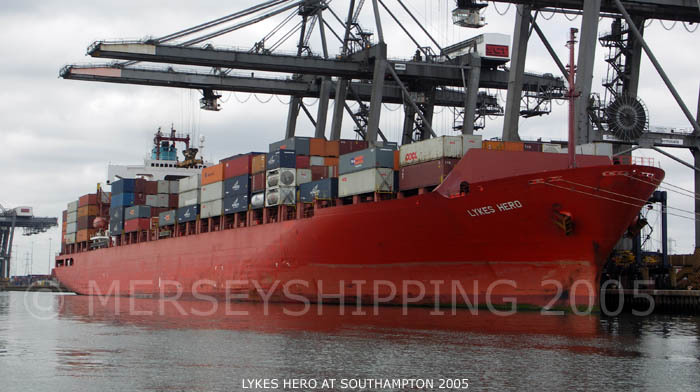 Report show that the sections are still afloat in gale force winds, front section drifting around 20 nautical miles from the stern section, according to MOL, tugs have been sent out to tow the two section to port. The crew of 26 abandoned the vessel in a life raft and life boat, and are being taken to Colombo and Sri-Lanka. While the Indian Coast Guard braved inclement weather and roaring seas to rescue all the 22 crew of the Maldivian-flagged cargo vessel m.v. Asian Express, which sank off Minicoy on Thursday following engine failure, the ship was apparently on the terminal leg of its last voyage before being sold for scrapping. Captain Ahamed Shakir, master of the sunken vessel for five years, told The Hindu on Friday aboard Coast Guard vessel Varuna which carried out the rescue operations that the management of Asian Express — Lily Enterprises Private Limited, Maldives — was to take a call on the fate of the ship after this voyage. m.v. Asian Express, built in 1977, was sailing from Port Md Bin Qasim in Karachi to Male with a cargo of 4,000 tonnes of cement and 2,400 tonnes of sand when its engine broke down, which sent it adrift in the rough seas. On receiving a distress alert, CGS Varuna, which was positioned near the Lakshadweep islands some 110 nautical miles away from Asian Express, diverted its course to offer assistance. Capt Shakir had told Coast Guard officials that the fuel filled from Port Bin Qasim could have been contaminated, which caused the vessel’s turbocharger to pack up, resulting in engine shutdown. Commander K.M. Arun Kumar, commanding officer of CGS Varuna, which is part of the Navy’s First Training Squadron, said that heavy sea swell, up to three-metres, poor visibility (less than 1 km in rain) and winds of up to 25 knots (50 km) posed challenges to the rescue operation. “To top it all, Asian Express had no satellite phone and a message was relayed to it through a nearby vessel, m.v. Golden Shui before we reached the area, he said. “The vessel’s agent, in the meantime, informed that tug Villa-2 which had been asked to tow the vessel to safety had not yet started from Male. In any case, the tug would not have reached the site before July 14 morning. Meanwhile, the master informed us that the three hatches of the ship were flooded up to 10 metres after a wide crack on its starboard side. “Soon, he said they would be abandoning the vessel and was instructed to use the life boats. However, the two lifeboats were non-operational and had to be pulled manually, even as the drifting vessel and the heavy swell posed a real danger to Varuna itself. Capt Shakir, a seafarer for 25 years, was all grateful to the Coast Guard for their help and hospitality. 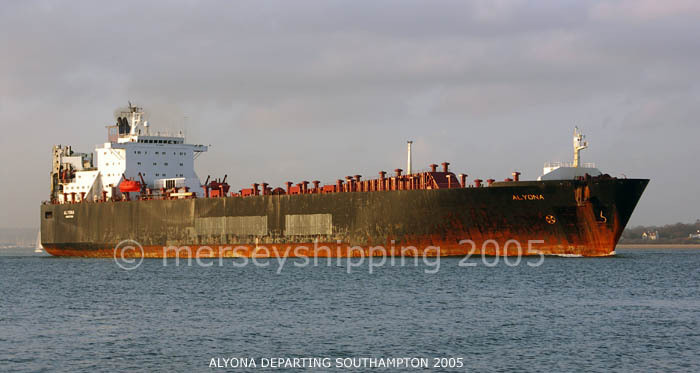 Cargo vessel Swanland which sunk in high seas off the North Wales coast has had its report published by the MAIB. An excellent site called Marine Merchande has took the google earth view of alang and identified the ships beached in february 2013 and can be found by pressing the following link, I have put the site through google tanslate. Please take a look.